Searching for DC Prom Limousine Near Me? For DC Prom Limousine you can trust, look to Cheap Party Bus DC, a transportation leader with over two decades of experience. A limo for prom is a ride to remember, and our courteous, knowledgeable chauffeurs never disappoint with their signature commitment to service and safety. Prom limos come in many popular styles: classic, stretch, super-stretch, SUV, and Hummer, and Cheap Party Bus DC is home to the largest limo selection in the DC area. Our meticulously maintained fleet contains only later model vehicles, which are both stylish and comfortable. Cheap Party Bus DC can transport prom groups of all sizes and reservations can be made easily both through our 24/7 call center and our online booking portal. Cheap Party Bus DC keeps prom limo transportation simple yet our attention to detail is well known by our repeat clients. More than just a cheap prom limo company, we proudly coordinate personalized transportation for every occasion with the aim of gaining your future business and treat all customers as VIPs. Your DC prom limo rental may be the first time you’ve taken a real look at what the area’s transportation companies can provide, and we guarantee you’ll be pleased by the quality, memorable experience that come with using Cheap Party Bus DC. With the many schools in the area, prom can be a busy time for any Prom Limo Service DC and thus we highly recommend reserving your date early to ensure that a prom limo will be available for you. 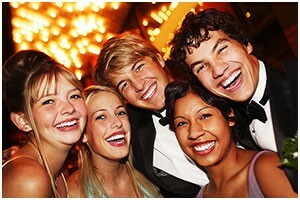 At Cheap Party Bus DC, we know just how important your prom is as is your arranged transportation for the evening. Your comfort is paramount but our team is also highly attentive in regards to the details- from music to decorations to refreshments.